i mean who doesn’t the good ‘ol classic chip filled, warm goodness of the most popular cookie around? you can make them crunchy, chewy, dunk them in milk, crumble them on ice cream.. you name it and the chocolate chip cookie can make it happen! when you’re at a pot-luck or some sort of gathering, there’s guaranteed a plate of the naustalgic cookie. but you also know what’s up with the classic? more then a few and they’re notttt so friendly on that slim & trim waist line you’re working on. the normal chocolate chip cookie you find in the pre-packaged cookie aisle boasts at least 12 grams of fat (not the good kind) per cookie and well over 28 grams of carbs. and who eats just one cookie? lets’s be honest..
they’re also filled with processed flours, sugars and other stuff you cannot pronounce. yes yes yes.. the home made ones you can try and adjust, but most of the time people toss in 2 cups of white sugar and enough processed butter to feed an army. we all know by know my love for “clean” baked goods. i absolutely love taking staple desserts and turning them into waist-friendlyl treats! ones that won’t leave you on a sugar high and feeling lethargic afterwards. you know what i love even more? when companies create such desserts and sell them in a pretty little package where you just add in the wet ingredients and bake! that’s where Paleoful comes in. not only are all of Paleoful’s mixes delicious, but they’re 100% gluten-free, grain-free, vegan, egg-free, soy-free.. and my favorite: NON GMO. you know GMO? those crazy chemicals and fillers you cannot pronounce on the back of most pre-packaged foods? yeah, they’re not in Paleful mixes. so when Paleoful contacted me to give their mixes a try, there was no pulling my leg! ready for the ingredients? are you prepared to actually know the DIRECT source of each item that’s going down the hatch? almond flour, chocolate chips (evaporated cane juice, chocolate liquor (non-alcoholic of course), non-dairy cocoa butter), organic coconut sugar, baking soda and himalayan salt. i mean… ya’ll…. this is how a cookie should be made. and you know all you need to turn this flour-mixture into a family-loving cookie?! or any type of light tasting oil and milk you want. even coconut milk if you so choose! well i mean the bowl that you’re going to mix your chocolate-y chip goodness up in is your oyster. so let’s get to business on how easy-peasy Paleoful mixes are to whip up. step 1: preheat the oven to 350, get out a mixing bowl and prepare for crispy-chocolate-heaven. step 2: pour Paleful mix into said bowl, toss in your almond milk and melted coconut oil. step 3: grab a spoon and begin mixing up your dough until thoroughly combined. as always.. the #1 mission is to not eat all the dough. then get out your baking sheet, lined with parchment paper (helllllo easy clean up!) and grab the dough, roll into balls then press flat onto parchment paper. i created 17 cookies out of the dough, but you can create whatever sizes your pretty little cookie-loving heart desires! then pop these babies in the oven for about 12 minutes. i like mine extra crispy so i left them in for about 14 minutes. this cookie mix allows you to be as versatile as you want with it! you could even add in a little peppermint extract, orange shavings, anything to add an extra kick! oh and guess what?! Paleoful was kind enough to provide an exclusive 10% off coupon code for all TayloredFitness readers! 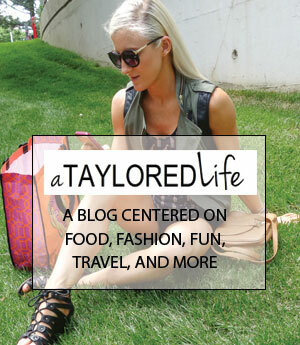 so at check-out, use the code “TAYLOR” to save yourself some $! Paleoful is the sponsor of this post (thanks Paleoful! ), but as always, all views and words are solely 100% mine!